The first production Eclipse 550 twin-engine jet, which is on display at the National Business Aviation Association convention and exhibition in Las Vegas, is a shining example of the world-class finish achieved with an advanced coatings system by PPG Industries’ aerospace coatings group for the fleet. Eclipse Aerospace selected the PPG Aerospace system to provide customers with superior weight savings for enhanced aircraft fuel efficiency, durability for extended service life, and outstanding gloss and color retention. “Eclipse Aerospace is pleased to offer our Eclipse 550 customers the superior exterior coating system provided by PPG Aerospace,” said Edward Lundeen, Eclipse Aerospace senior vice president, business operations. “The economics of PPG’s coating system, combined with their excellent technical support, simplified our selection decision. The decision to move away from chromate-based paint to a chromate-free product has reduced our environmental exposure and resultant costs while providing a safe work environment for our personnel.” DESOTHANE HD/CA 9000 series basecoat/clearcoat and DESOPRIME 7502E chromate-free primer by PPG Aerospace are qualified for production aircraft at Eclipse and will be used on every Eclipse 550 jet, according to Kevin Brooks, PPG global segment manager, original-equipment aerospace coatings. “PPG and Eclipse collaborated to develop a coatings system that provides the most advanced technology and superior finish available today,” Brooks said. “We are dedicated to supplying Eclipse with a coatings system that sets the standard for weight reduction and supports the need for lower operating costs. Furthermore, we are proud that Eclipse has become one of the first airframe manufacturers to qualify and use this PPG system.” High-solids, chromate-free Desothane HD/CA 9000 series basecoat/clearcoat consists of a heavily pigmented basecoat that provides color in one coat, instead of the typical two or three coats, saving material, weight and application time. The clearcoat provides extended service life, improved buffability and a smother surface that is easier to clean. 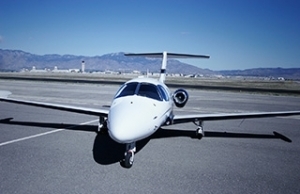 The NBAA convention and exhibition takes place Oct. 22-24 at the Las Vegas Convention Center. PPG Aerospace is the aerospace products and services business of PPG Industries. PPG Aerospace – PRC-DeSoto is the leading global producer and distributor of aerospace coatings, sealants, and packaging and application systems. 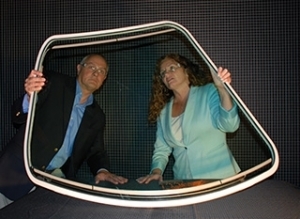 PPG Aerospace – Transparencies is the world’s largest supplier of aircraft windshields, windows and canopies.